What it is. How it works. Who it’s good for. 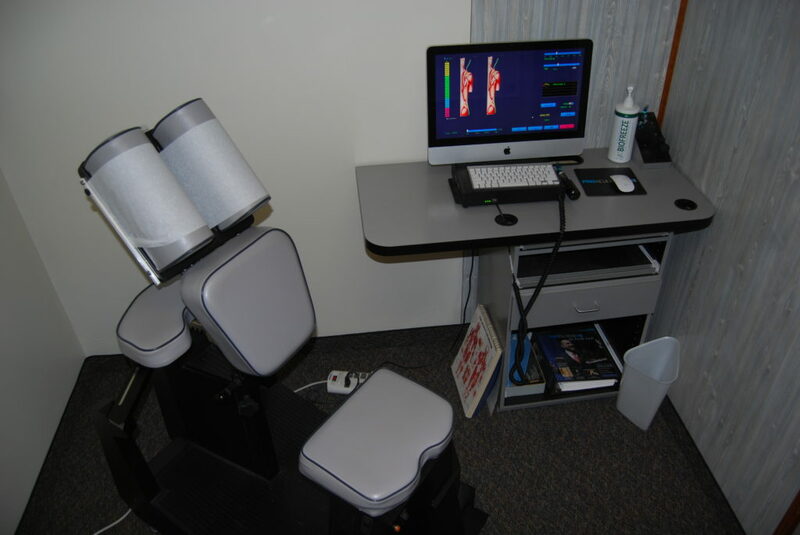 The Pro Adjuster is a computerized system designed to aid chiropractors in the analysis, treatment, and reanalysis of the spine. This enables the doctor to provide consistent, standardized and comfortable care to their patients. It provides a gentle approach that is appropriate for everyone from infants to seniors. The patient is seated in a comfortable chair in an upright position without the need to turn the head or neck. Thus, this greatly reduces any issues associated with osteoporosis, vertebral artery conditions or other concerns that manual techniques might not properly address. Many people have found the Pro Adjuster to be a wonderful solution for eliminating subluxations in a way that makes them feel secure and comfortable. During a manual chiropractic adjustment, a Doctor of Chiropractic uses their sense of touch to detect and correct subluxations. The Pro Adjuster uses advanced computerized technology to do the same things without the application of manual rotation or thrusting forces. The cervical, thoracic and lumbosacral regions are evaluated one region at a time using a U-shaped instrument allowing the Pro Adjuster to detect areas of misalignment. This information appears on the analysis screen. The Doctor holds the instrument on the problem vertebra and the machine uses a series of gentle taps to shift the vertebra back into optimal position. Once the segments are adjusted, the machine automatically goes back to re-evaluation mode, comparing both the pre and post graph overlays.